Charlotte Hood Cleaning provides restaurant hood cleaning services for the Charlotte area. Our staff can give you an estimate and schedule service that works with your busy schedule. The work will be done by certified technicians, and is guaranteed to pass inspection. Preventative maintenance and regular cleanings are important in preventing fires and other safety problems. Call us today to schedule service or discuss your individual case. Why is Hood Cleaning Important? A clean vent hood is important for any restaurant, ensuring it meets the necessary safety and fire regulations. Your vent hood must be compliant with NFPA-96 and local fire standards, which is a major consideration when deciding to schedule regular cleaning service. 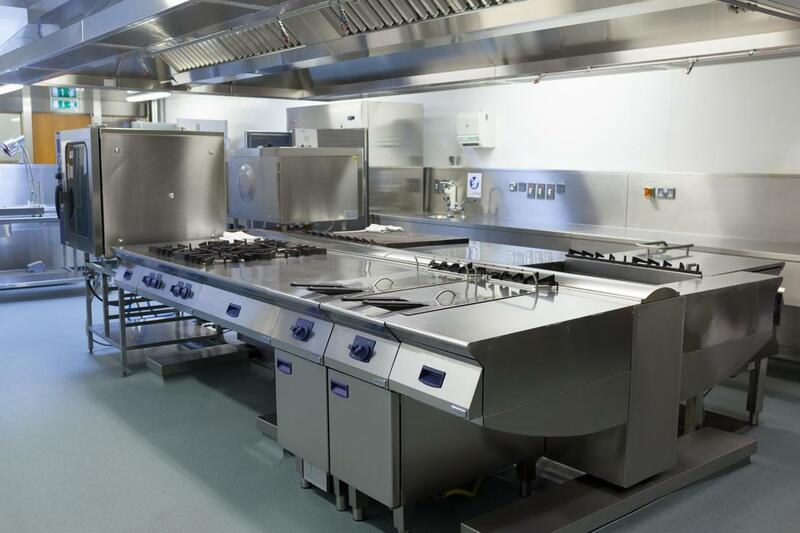 We help you make sure your restaurant kitchen is in compliance with industry regulations. The state of a restaurant hood also impacts the overall performance and health of your kitchen’s exhaust system. A clean exhaust hood system makes all the difference, which you’ll notice immediately. A fire is one of the major dangers of a dirty vent hood that has a buildup of grease and oil. Major buildups of grease will render any fire protection systems inefficient. Kitchen fires often start on cooking equipment and then flare up into the exhaust system. Every year there is an estimated $164 million in property damage as a direct result of structure fires at food establishments. Grease buildup can also cause structural damages to your facility, including damaging your roof, which can lead to costly repairs. Our hood cleaning service includes a vacuum, scrub, power wash, and a polish to ensure your hood is in top shape. Typically you can expect an average of three to six hours for restaurant hood cleaning services. An estimated timeframe depends on your individual restaurant, including the size and condition of the hood system. Some larger and more complex kitchen exhaust systems may take days to clean completely. Systems where the fans and ducts have not been cleaned properly or regularly will also take time to thoroughly deep clean. Under NFPA-96 regulations, the time range commercial kitchen facilities should have their systems cleaned is between once per month to once a year. Our team of highly trained technicians can thoroughly clean your restaurant’s entire hood system and all associated parts. A professional understands there are appropriate methods and solutions to safely clean a hood system. Our team starts by preparing the kitchen for service, including ensuring all pilot lights and gas sources are shut off. We make sure greasy runoff water goes into a container and not all over the kitchen. Water pressure cleaning the up-blast fans completely to the metal, and scraping the exhaust ducts is next. Our team will then clean and scrape the vent hood to remove any grease or debris. Finally, technicians will polish your hood system, which is followed by an inspection and cleanup. Give us a call to discuss our restaurant hood cleaning process.